In 2005 I was still working as a course manager and instructor on the FFL ATS school. I started working with ATS training already in 1984 and it was now time for something different. For the last five years I had been working part-time as a controller on the ATCC at Malmö and when a vacancy for “Watch Supervisor” turned up I applied. 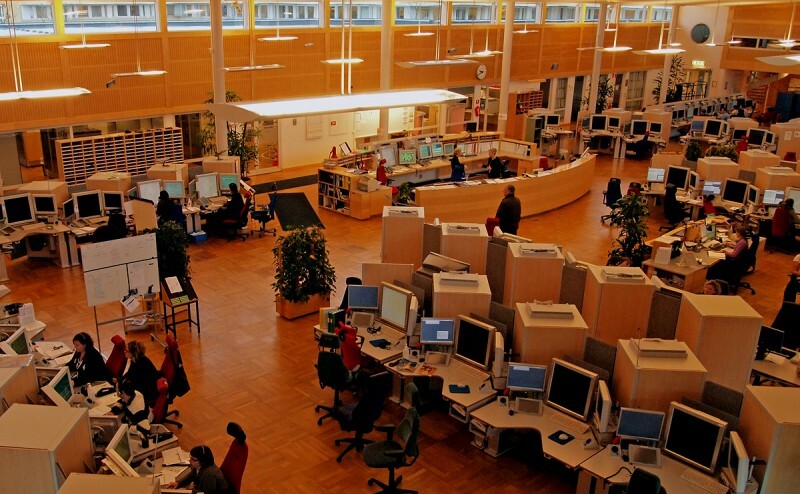 The ATCC Malmö is a great place to work and I was really glad when I got the job. I started my WS training in November 2005. I had to learn more about the Eurocat on a technical level. As a WS you handle different configurations of the system and you also have to know how to handle different emergency situaions. It was all interesting, but also rather demanding. As a WS you are also responsible for the “flow planning”. 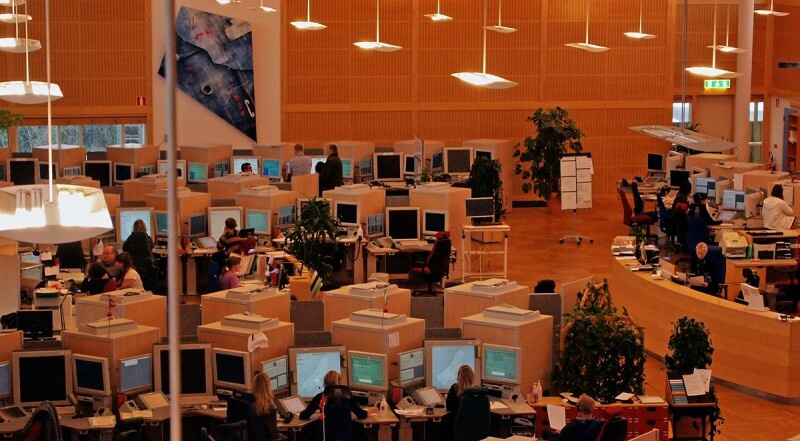 In Europe all GAT flightplans are processed by Eurocontrol. 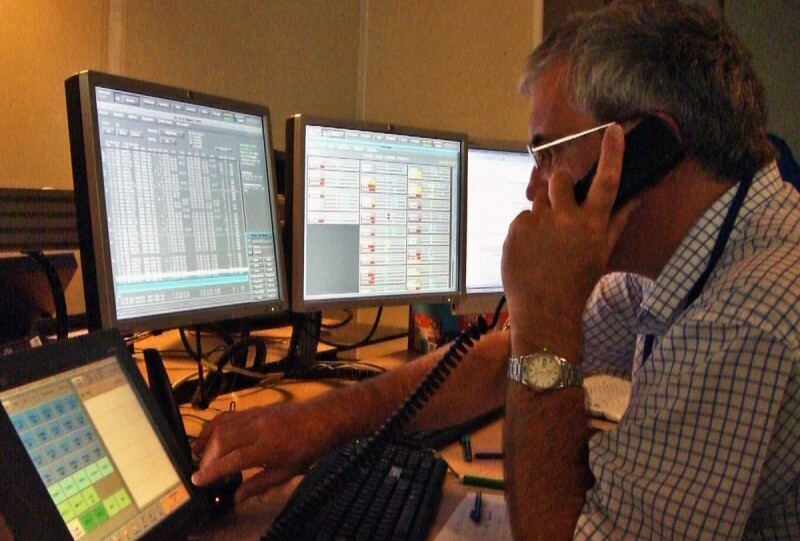 From Eurocontrol each ATS gets information that shows the traffic you can predict. You have to monitor the predicted traffic carefully and make sure that the capacity is enough or otherwise take necessary actions. To learn about flow management I was sent for training in Luxembourg and later to Brussels. A good cooperation between the ATCC WS and the central flow positions in Brussels is vitally important. Making sure traffic is within the capability limit is a serious flight safety issue. My colleague Sten at the WS position. Predicted traffic volumes on the screens to the right where red colour indicate a possible over-load problem. Working as a WS is very interesting. Unexpected things happen regularly and I’ve had my share of difficult situations to handle. NUAC – Sweden and Denmark are working in a close cooperation to form a company (Nordic Unified Air Traffic Control) that will handle ATC within the Swedish-Danish airspace block. NEFAB – The Swedish-Danish airspace block is planned to expand in the future. The “North European Functional Airspace Block” will encompass the countries of Sweden, Norway, Denmark, Finland, Iceland, Estonia and Latvia. FRAS – For some time now Sweden have been implementing “Free Route Airspace Sweden” step by step and it is now valid over Sweden above FL285. COOPANS – By harmonizing procedures and standardise the Eurocat ATM-system the countries involved lowers their costs and improve the possibilities for cooperation (COOPeration between ANS providers). The service providers in Sweden, Denmark, Ireland and Austria work together in the project with Thales as the supplier. But now I have reached the present and am even beginning to write about the future. This is the last chapter of this blogs “History section”. Perhaps one day I will have a blog that will have a history section that ends with “My African adventure in Namibia”?